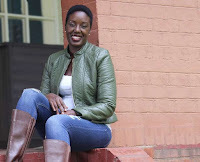 Monday, 20 August 2018 - Rosemary Odinga, the eldest daughter of NASA leader, Raila Odinga, made a rare public appearance on Saturday as she celebrated her 41st birthday. The invite-only event was held at Deeps EA Horse Riding School in Kitususru. Among those present include the former Prime Minster, his wife, Ida, Raila Junior and Winnie Odinga. Rosemary has been away from the cameras and avoided social media after returning from South Africa in July last year where she had sought specialized treatment for a non carcinogenic tumor.